You’ve already heard that Hong Kong is an excellent choice when it comes to entertainment and eventfulness for grownups. Fear not, as it also boasts plenty of options for kids of all ages and preferences, especially due to its little-known natural wealth, well-developed theme parks, and the toy stores are always a huge hit with kids! Take your little geeks to see the local Science Museum, visit the Geoparks, or ride the Observation Wheel. Definitely set aside enough time to enjoy Hong Kong Disneyland, and make sure to take your kids pink dolphin watching. A stroll through the local park can give them a glimpse at the famous koi fish as well as turtles, for your little nature enthusiasts. Okay, now that you have an itinerary that will impress the youngsters and keep them occupied until they start seeing Hong Kong as home, you can focus on more serious topics on your moving agenda. Of course, every parent wants to raise their kids in a city that’s as safe as possible, and oftentimes people assume that a busy city such as Hong Kong couldn’t possibly meet their expectations. Well, it will definitely surprise you! Hong Kong is an incredibly safe spot to raise your kids. Their decreasing crime rates (which have already been low) make it one of the safest places in the world. You’ll feel at ease knowing that there are police everywhere and that perhaps the only illegal issues that are more prevalent than others are scams, such as currency exchange in the street or selling fake items. So, a little information can go a long way to keep you out of those situations, but otherwise, you’ll be incredibly safe. You’ll notice that the predominant languages you’ll hear in the streets are Cantonese and Mandarin, which shouldn’t worry you one bit. In fact, due to the growing popularity of the city, fast-developing tourism, and access to excellent native English teachers, the vast majority of the population is bilingual, and they use English on a regular basis. Even if you don’t come from an English-speaking country, your kids can rely on Monkey Tree ESL courses to help them adapt more quickly. On the other hand, if you’re a native speaker, you can join their teaching ranks and assimilate into the community even faster. What’s important to remember is that language will be no obstacle for your family to enjoy the perks of Hong Kong! Another enormous benefit of life in Hong Kong is their attitude towards hired help. 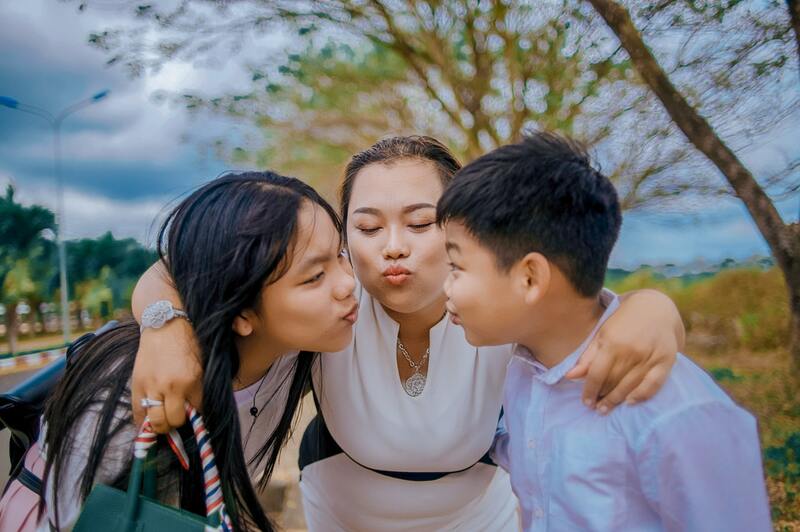 Whether you need a stay-in nanny or someone to help with the chores, chances are you’ll find a slew of interested locals who speak English and are more than qualified to take on such a job. In fact, this is considered a norm for many local families, so the services are often quite affordable, and it’s easy to find someone who comes highly recommended. So even if you have hectic work hours, you can always have a peace of mind that your kids will be cared for, fed, and greeted from school! Finally, on a slightly different note, raising your kids in such a bustling environment is truly a remarkable experience for your kids. It will shape them into people who value and respect different cultures and traditions, and who will likely have more empathy for the world and its inhabitants. Not to mention that your kids will have a chance to grow up bilingual, as well as bicultural. It might take them some time to get used to the new ways of life and the new environment, but it will ultimately help them become compassionate, open-minded people.